Universal Studios Park has a very nice and spacious nursing mothers area that has all the amenities. It's well labeled on their park maps even easier to find with this Nursing Room Locator. "Nursing facilities and a companion restroom are available at Family Services, located to the right of Lost & Found in Universal Studios Florida and at First Aid in Universal's Islands of Adventure. Diaper-changing facilities are available at all restrooms." Note: The nursing mothers area is a separate room, with two stations with swinging style doors (not privacy curtains) and has a chair and table in each, but you'll have to pass through the first aid area desk to enter. Sometimes you might encounter sick or coughing people there so have your wipes ready after nursing. Amenities include a couch, plat panel tv, and baby changing table in the first nursing room. 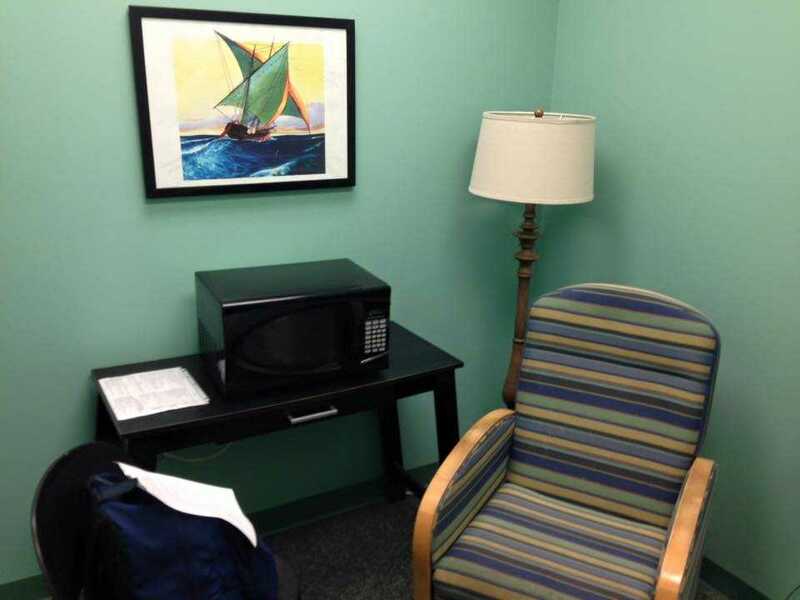 The second adjacent nursing room has a glider-rocker, a night table with a lamp, childrens books, adjustable brightness on the room lighting, and nursing pillows with disposable covers.